Lil Fame of M.O.P., going by his producer moniker “Fizzy Womack,” has crafted soundscapes for the likes of Kool G Rap, Cam’Ron and the Wu-Tang Clan, as well as a number of songs in M.O.P.’s catalog. 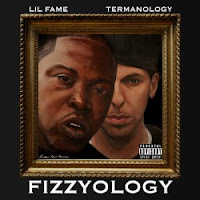 So when Boston emcee Termanology set out to start work on another solo album he linked up with Fame to be his main man on the beats. At some point midway through the recording process Fame had ended up spitting verses and hooks on nearly every track. They realized that hewing an entirely collaborative project as a duo could result in a milestone record, benefiting both artists. And thus, in the new-ish trend of combined names (see: Liknuts, Wu-Block, MA_Doom, a million others.) Fizzyology was born. ...full-length review continued here.